Please join us from 4:30-6:30 for our Academics Committees (Inclusion, ELL, Climate Change, Early Ed, PLAB, and Arts), which will meet throughout the year on the FIRST Tuesdays of the month. Light dinner will be provided. To learn more and to RSVP please contact Natalia at ncuadrasaez@btu.org. Join a group of BPS educators working to bring Ethnic Studies curricula to BPS on Sunday, December 9 from 2-4 PM. To learn more and RSVP please contact Natalia atncuadrasaez@btu.org. Please join us at the BTU from 4:30-6:30. Committees under SELWell include: SELCommittee, Restorative Justice, and School Counselors. We will meet throughout the year on the SECOND Tuesdays of the month from 4:30-6:30 at the BTU. Light dinner will be provided. To learn more and to RSVP please contact Natalia atncuadrasaez@btu.org. Our next meeting will be on Wednesday, December 19 from 4:30-6:30 PM at O’Bryant High School (55 Malcolm X Blvd) Room 5-107. To help us plan for the upcoming school year, we’re updating our lists of educators who’ve been involved and/or are currently interested in our Week of Action and scholarship efforts. Please help us out by filling out this quick interest survey! This year’s Week of Action (a week of advocating for safe and welcoming schools for all undocumented and immigrant students) will be the week of April 29. To get involved, please email Nora at npaulschultz@bostonpublicschools.org or Lena at paulena.papagiannis@gmail.com. Join the BuildBPS Action Network: We have organized an email list and network for communications and organizing around BuildBPS. Sign yourself up using this form, and contact Natalia Cuadra-Saez with questions at ncuadrasaez@btu.org. Seeking Arts for All Advocates! Do you believe all BPS students deserve access to high quality arts education? Do you want to get involved in making this vision a reality? To get involved in this important work please fill out this survey put together by the BTU Arts Committee. As we build on the learning that took place at our Fall Conference, we want to hear from you about what workshops you would like to see at the Winter Conference. Please fill out this quick survey to give us your thoughts. Save the date for the BTU Winter Conference on Saturday, February 9! From April 15-19, 10th and 11th grade students from the West Roxbury Education Complex will travel to Atlanta and Birmingham and Montgomery, Alabama for a Black History & College Tour. Please read more and support their trip as you are able! Join a hearing at City Hall on Tuesday, December 11 at 5 PM: Hearing order filed due to demand in exploring an elected vs. appointed school committee body and to begin a discussion on the pros and cons of each structure. Currently, Boston is the only city in Massachusetts with an appointed School Committee. 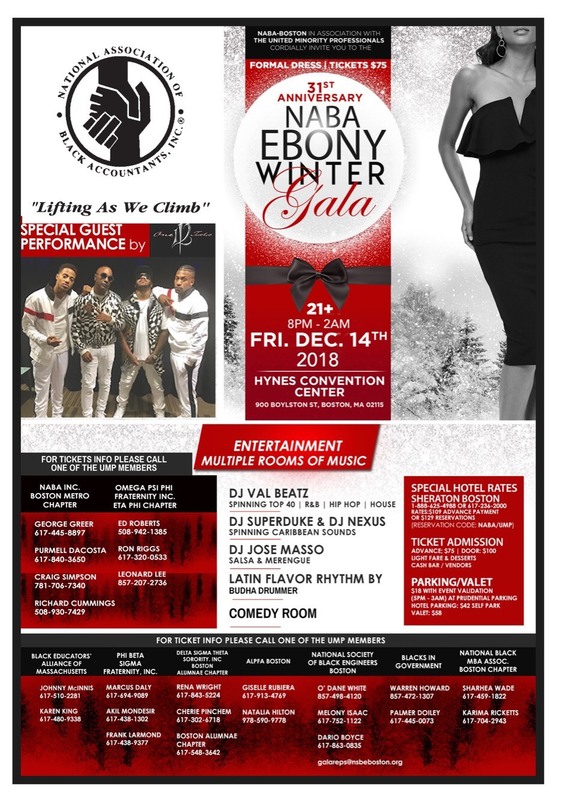 The Black Educators’ Alliance of Massachusetts is a co-sponsor of the Annual NABA Ebony Winter Gala. BEAM donates proceeds from the event to award college scholarships to graduating high school seniors. Last year they awarded seven scholarships. See the flyer for details. For more information, contact Karen King at 617-480-9338 or Johnny McInnis at 617-510-2281. Get Involved: Become an InSPIRED Fellow! DESE is now accepting applications for the inaugural cohort of InSPIRED Fellows! InSPIRED Fellows are In–Service Professionals who are committed to Increasing theRacial and Ethnic Diversity of our teacher workforce. This Fellowship is designed around two goals: (1) increase the diversity of the teaching workforce in Massachusetts and (2) increase the retention rates of current educators committed to a diverse workforce. Read more, and email EducatorDevelopment@doe.mas.edu with any questions. Applications close on December 13.